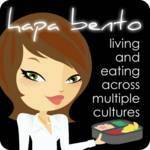 Many cooking competition shows are showing on the cable TV right now. Me and the kids love to watch cooking shows lately. And the kids' favorite cooking show is Junior Master Chef. I can say that the show is quite inspiring for the young kids and even for me. To see how they are so motivated to cook and to present it very well to the judges. At such young age, they can do all those amazing food styling. I'm not sure that I can cook and present the foods so nice like they do. 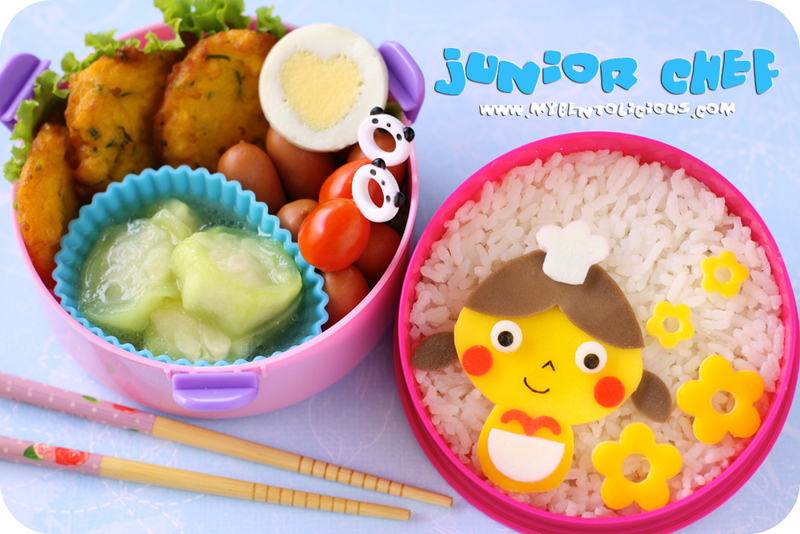 So today's bento I made Junior Chef bento for the kids. I used various cutters to make the junior chef. Inside the other box : corn fritters, sauteed Chinese okra, cherry tomatoes, boiled egg, and tiny pork sausages. Tomato sauce was put in the different container (not in the picture). How fast the time is...today is already Friday again. Wish everyone a great weekend ahead! Today I just made a simple snack bento for the kids. 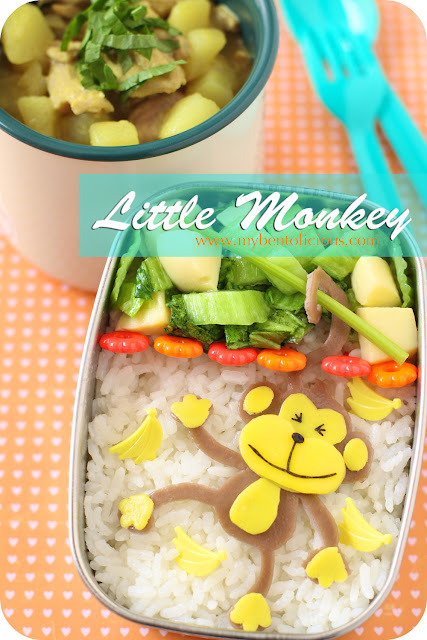 Kids will have lunch from school catering today. 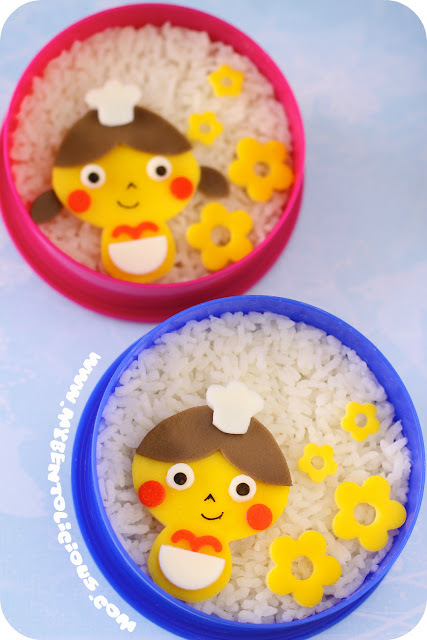 Mainly used cutters to decorate this bento. 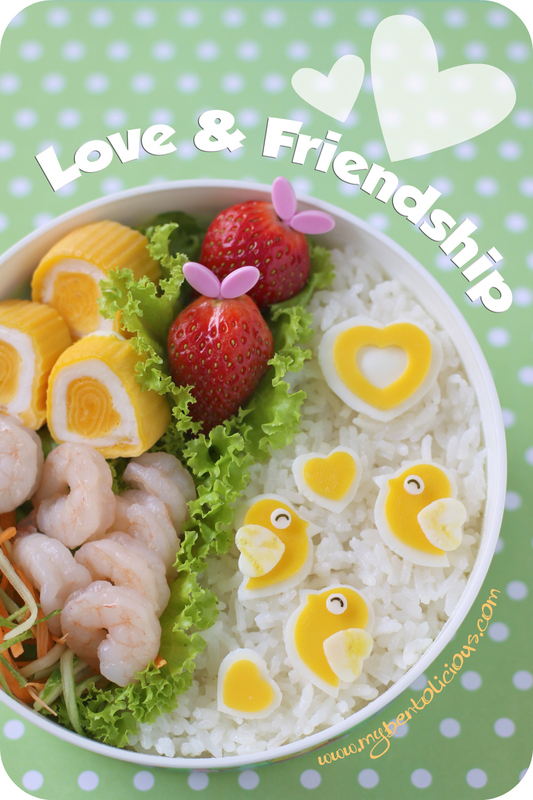 Inside the box : egg fried rice, oranges, cucumber, lap cheong Chinese sausage), asparagus, and strawberries. I should put more efforts to decorate the face details but I wasn't really inspired today, so I just used puncher for the details with nori. I separated the egg yolk and the egg white to make the white and yellow egg sheets. I cut it with X-Acto knife and made it in 3 layers this time. Love my tiny heart cutter but actually I made some cut by hand at the top of the heart so you can see the heart shape clearly. 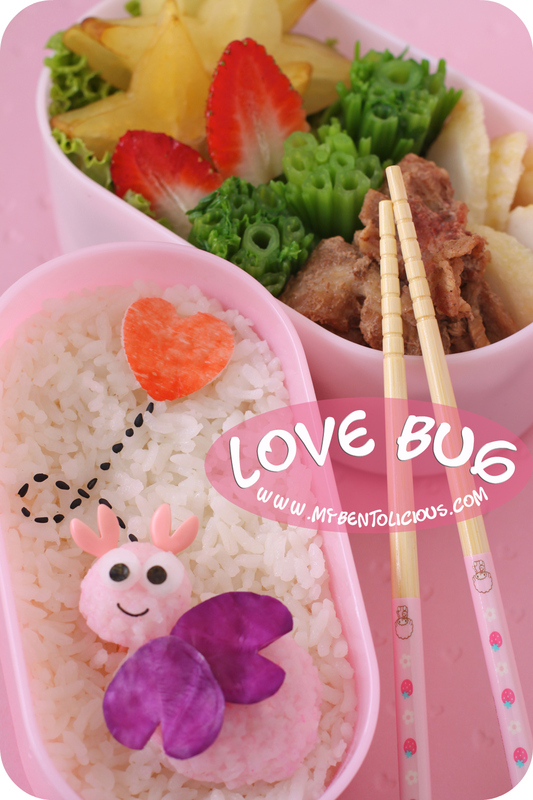 Oh well, maybe this bento will be the last Valentine's theme bento if I can't manage to make one more on Monday. Tuesday will be a public holiday here, so I'm planning to have dinner out with the kids on Monday night because hubby will be on the company trip from tonight until Tuesday night. Cupid is something that we often see around Valentine. 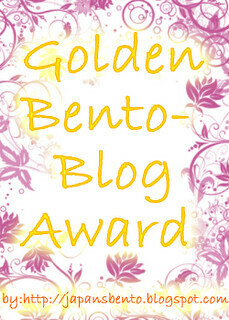 A lot of stores, Valentine's cards, flyer, etc. 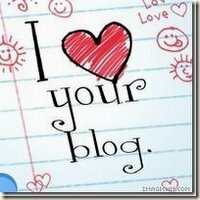 are picturing Cupid. 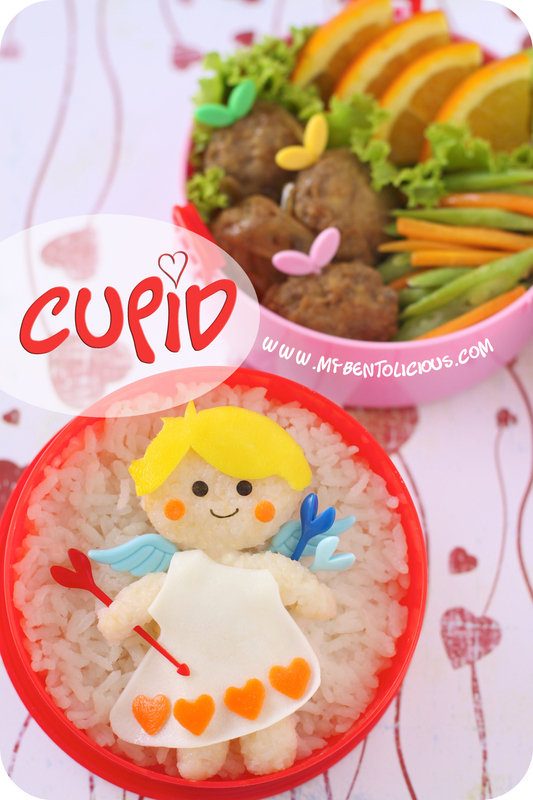 So I tried to make Cupid for today's bento as he is one of the popular icon for Valentine. I used heart food picks for the arrows and glad to have those wing picks for easy use to create this Cupid. 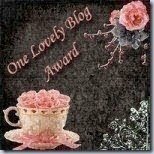 And I have to mention that I forgot to create the bow for the Cupid. In the other box : beef onion meat balls, green beans and carrots stir fry, and sweet orange slices. 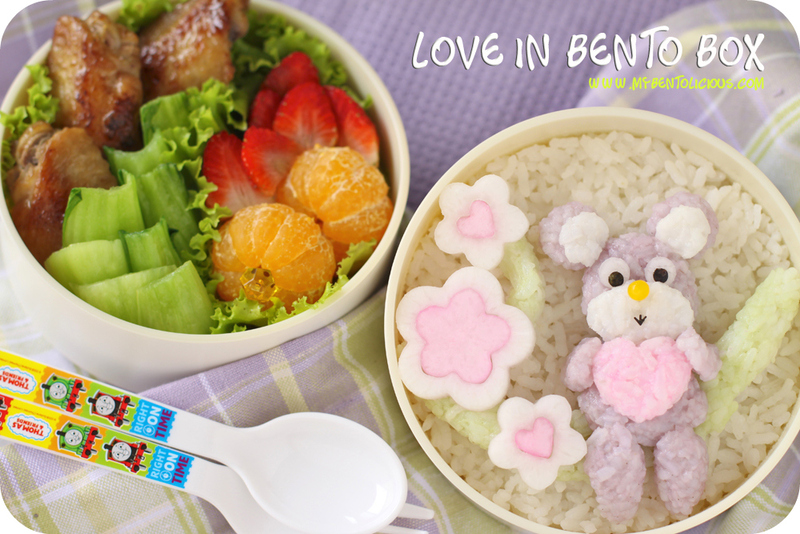 Little purple bear with the pink heart was made for today's bento. 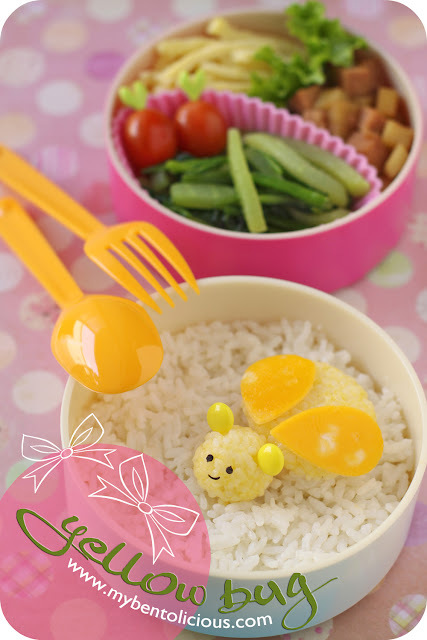 I used deco furikake or rice seasoning mix for my green, purple, and pink rice. 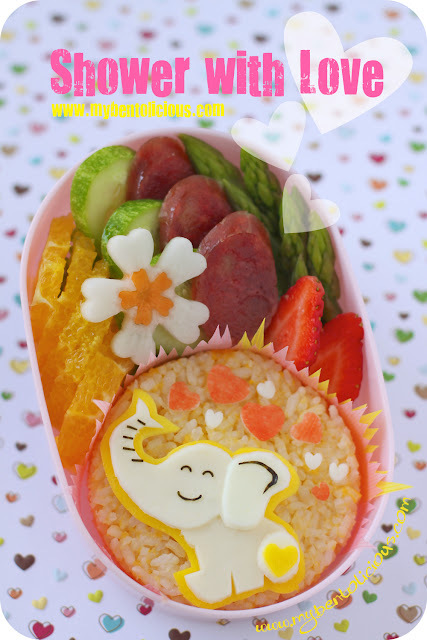 I wanted to make the bear and everything with colored egg sheet but then I changed my mind this morning. 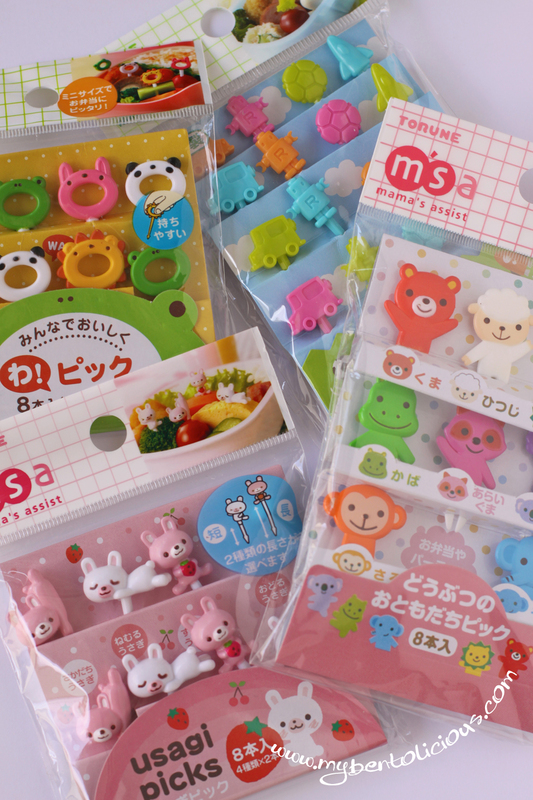 I bought the green pack from Daiso and pink pack from iSetan supermarket from my last trip to Singapore. 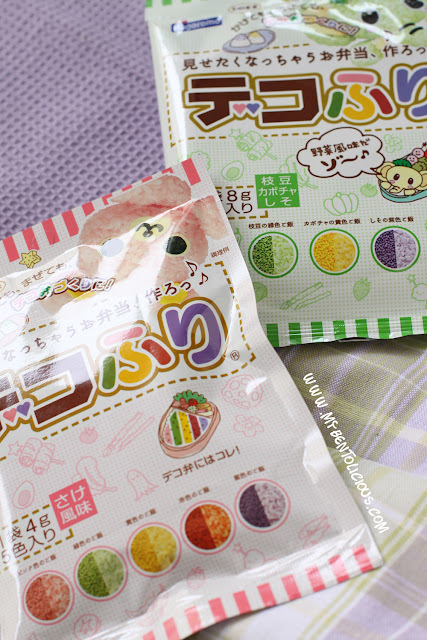 I took the deco furikake pack picture, so you can see the packaging. 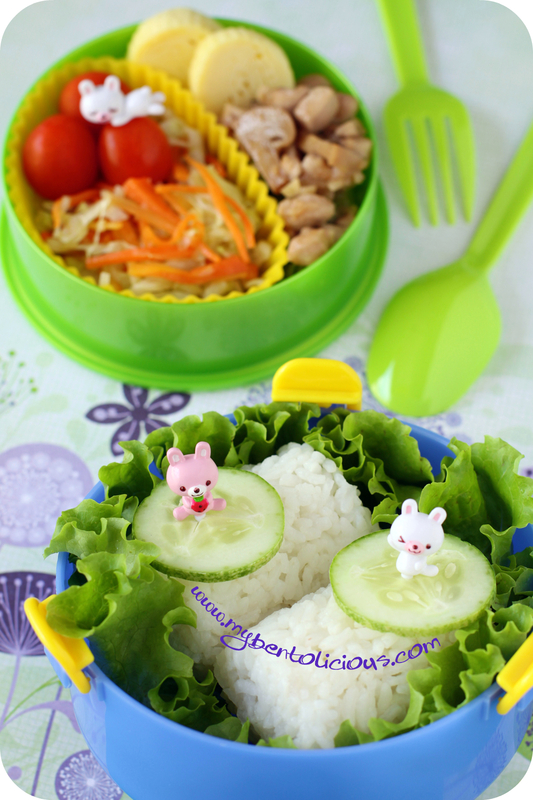 It is a great use to make bento. Inside the other box : chicken wings cooked with Chinese cooking wine and ginger, stir fry bok choy, mini oranges, and strawberries. This morning is a bit quite at home. Kids are in the school and hubby in the office, so practically home alone. Got some old cooking magazines, browsed through it and found some interesting recipes that I could try this week. Put post it to bookmark it. 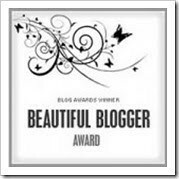 I am actually thinking to type all the interesting recipes from the magazines, so I can store it digitally and easier to find next time I need it. Or perhaps scan them is a lot easier to do. 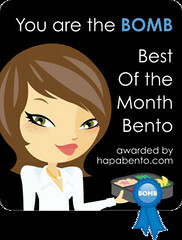 I'm back to my regular bento making now after all the busy family business finished. My sister and her family flew back to Melbourne last night. So my routines around the house are pretty much back to normal. Chinese New Year was celebrated simple with the whole family. Had a great time with all the family members. One more week to Valentine's Day. 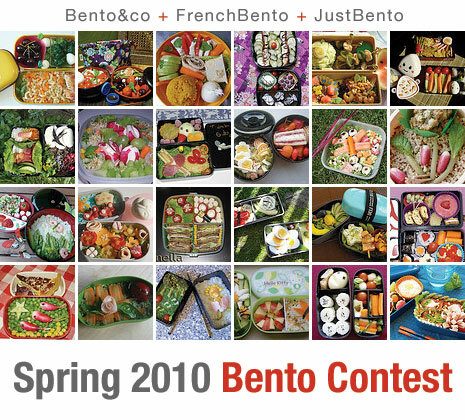 And I'm thinking to make some of Valentine's theme for this week bento. Although we don't celebrate it big here but Valentine is still something that people love to celebrate. Our family doesn't really celebrate it in a big way either. My kids has been asking me from last week to bake some cookies or cake that they can bring to school and share with their classmates. 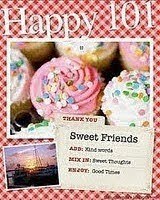 Let's see what can I bake this weekend for them. Today's love bug was made from rice (body and head), red cabbage (wings), facial details (nori and fish cake), heart food pick (antenna). And added star fruits, strawberry, Chinese spinach, fried fish cake, and five-spice pork in the other box.